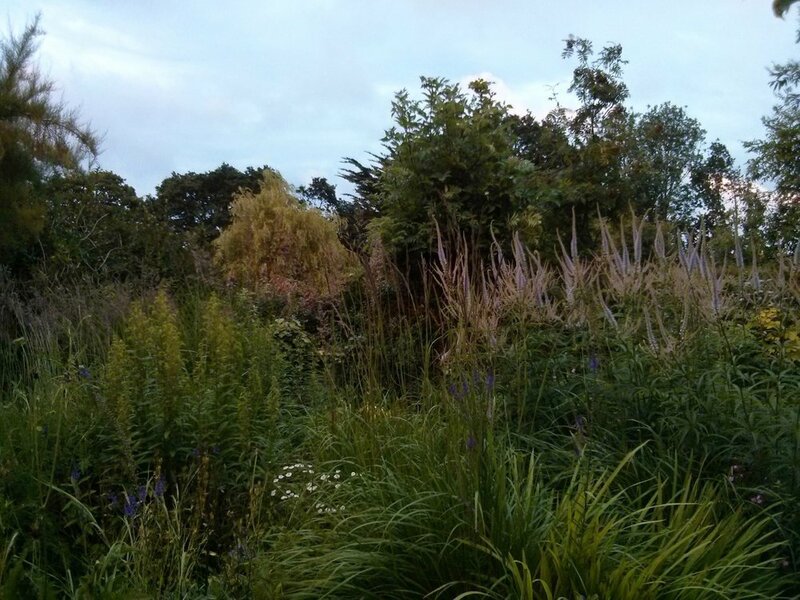 More University of Essex artist-in-residence posts soon; in the meantime a photo of the garden late this evening. The pale mauve veronicastrums, one of our favourites, are in flower and make a good combination with the purpley heads of the Calamagrostis Karl Foerster as they begin to open. It’s all looking beautifully full on at the moment.